Writer Robert Towne chuckles at a question about how young the executives in Hollywood are these days, how short the institutional memory about great work of the past is -- and whether that has an impact on getting his phone calls returned. "You really like those AMC shows don't you?" a woman asked me recently. To which I said, "Yes, I do." For AMC means it when they say story matters here. Also, it's their compelling characters who give depth to their stories. Therefore, both story and characters matter at AMC. Finales of TV series are tough to pull off. Let's all agree. That said, Matthew Weiner, creator of Mad Men, and his team pulls off a finale by capturing hearts and minds, and also with closure. At AMC's grand finale screening in Los Angeles on Sunday evening, I witnessed some of the red carpet hullabaloo and general fan hysteria behind the award-winning series. Author of "Getting There: A Book of Mentors"
"Artists frequently hide the steps that lead to their masterpieces. They want their work and their career to be shrouded in the mystery that it all came out at once." Now that Mad Men has reached its endpoint, with critics dissecting its meaning and import, not to mention its influence and destiny during awards season, it is time to further point out its antecedents in literature. If you watched, you're surely pondering the meaning of Draper/Whitman's latest and greatest incarnation as New Age pitchman of killer soft drinks. 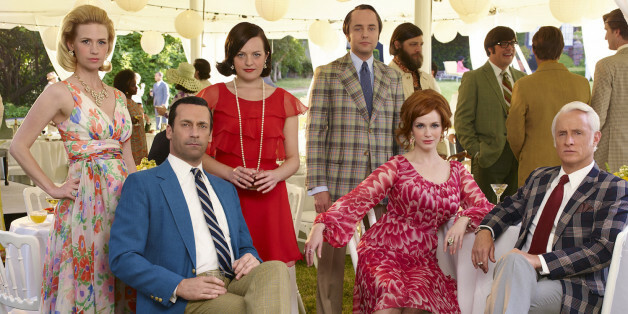 But I've also given a lot of thought to something else: What was Mad Men trying to tell us about America? 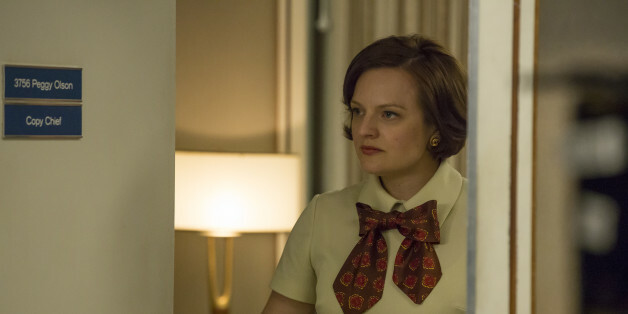 Elisabeth Moss, Matthew Weiner, John Slattery and many more stopped by HuffPost Live to share what we can look forward to on the series finale of the AMC hit "Mad Men." I can hardly wait for the series finale. Fans may predict what's planned, but as former heavyweight fighter Mike Tyson had said, "Everybody has a plan until they get hit." And I expect we Mad Men fans will definitely get hit. Don, Roger and Joan are all experiencing somewhat, how Ken Cosgrove must have felt while working at McCann. As we bid a sad but fond farewell to this transformative and ground-breaking television series, I want to share with all my viewers and readers this classic Between the Lines episode.